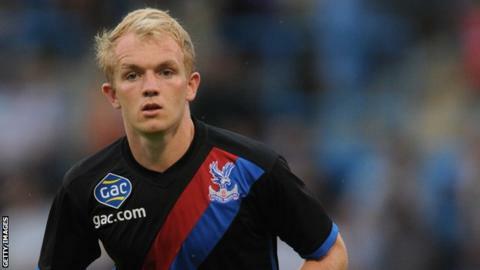 Ipswich Town boss Mick McCarthy would like to re-sign Crystal Palace midfielder Jonny Williams on loan, should he be made available. The 20-year-old played 13 times for Town during a loan spell last season. "If somebody says you can have him on loan, I'd take him. Everybody knows that," McCarthy told BBC Radio Suffolk. "And by the way, so would 23 other Championship clubs. He was a sub and got on at the weekend for Palace, so he was part of their plans." Both of Williams' Premier League appearances this season have come from the bench, including 15 minutes against Burnley on Saturday, although he did start the 3-0 League Cup win over Walsall. Palace boss Neil Warnock has only been in the job for three weeks and said this weekend that he wanted to have a further look at the Wales international. McCarthy added: "I don't have a gut feeling on him. I don't think about it too often. We're doing OK."